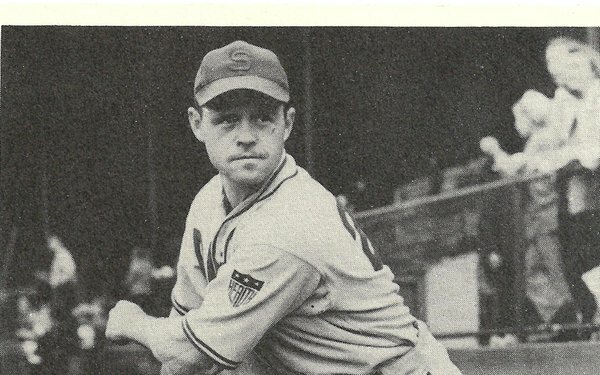 World War II veteran and retired major league baseball player Eddie Carnett holds the unique distinction of being one of only a handful of players to make their debut as a pitcher and later return to play full time as a position player. Others on this short list include Smokey Joe Wood, Lefty O'Doul, and someone named Babe Ruth. While Carnett did not put up Ruthian-like numbers, he was an excellent mentor, teaching Warren Spahn his pick-off move and tutoring Bob Feller on how to throw a slider. Carnett is one of the few living members of the legendary Great Lakes Naval baseball team. On this Memorial Day in 2010, he recalled his entrance into the Navy 65 years ago. "I'm pretty old, I'll be 94 pretty soon," Carnett said via telephone. "I went to Great Lakes in 1945, 65 years ago today. I was 28, heck I was an old man in the service! It was very interesting. Bob Feller was our manager, Walker Cooper was our catcher, I played first base, and Johnny Groth was in center field. Pinky Higgins was there too. We were all big league ballplayers." A few days into his service, Carnett played in an exhibition game against the Detroit Tigers. He recalled an entertaining exchange between Hall of Fame manager Mickey Cochrane and pitcher Schoolboy Rowe over the decision to pitch that day. "In fact, on June 6th we had an exhibition game; the Detroit Tigers came into Great Lakes and I hadn't been there too long," he recalled. "I remember Mickey Cochrane was the manager, and before the game, Schoolboy said [to Cochrane], 'Skip, it's kinda cold out there today.' Cochrane shot him a look and said, 'It's pretty warm over in the South Pacific.' Rowe quickly said, 'Give me the damn ball skip!' Rowe and Virgil Trucks pitched and we beat them. In fact, we beat every big league club we played." In 1944 while playing with the Chicago White Sox, a visit to a Philadelphia area hospital proved to be a sobering experience for Carnett about the realities of war. "We went around and played quite a few exhibition games across the country," he said. "We went into the Valley Forge Hospital in Philadelphia with all of the guys from the White Sox. All of the guys from Normandy were sent back shot up. I never seen such a bloody mess in my life. That was when they went across the channel and got shot up. "One big kid, his idol was Hal Trosky. The nurse told me he had both eyes shot out, he had a bandage over his face so I didn't know that. Trosky was in a batting slump, and the kid got up and said, 'I can see ol' Hal Trosky now.' He just stood there perfect in Trosky's stance, and Trosky got white as a sheet. Trosky then said, 'It takes a blind kid to tell me what I was doing wrong.' There wasn't a dry eye in the room; he wasn't worried about his eyes, he was worried about his buddy Trosky, his baseball idol. I'll tell ya, I would have rather been over there than see what I seen coming back at Valley Forge Hospital. Those guys that came back, I'm telling you, they were shot up." Carnett explained why many of these horror stories never reached the public consciousness. "The public never sees any of this stuff," he said. "And I can understand why the government hides this stuff from them. I don't know whether the public can take it or not. War is hell! There ain't nothing fair about war. If I know you are going to try to shoot me, I am going to shoot you first and ask questions later." He also acknowledged that some of the players took heat from their fellow servicemen because they were shielded from combat duty as they traveled the country playing exhibition games for the troops. A vast majority of the armed forces appreciated what they were doing. "I was fortunate," he said. "I was in the Navy, scheduled to go out in a bunker hill and [instead] the Commodore of our Naval District wanted us to go around. We went to Fort Dix and played some exhibition games. There were a couple of soldiers that called me a draft dodger because I was playing ball. The guys over there in the Army told me not to worry and they picked those guys up and threw them out of the ballpark." Far removed from his military service, Carnett suggested enlisting the services of the retired veterans to help put an end to battle. "I'll tell you how to stop war," he said. "Take guys like me, 80-90 years old and put us in the service, on the front lines, and after four or five shots, you know what we're going to say, 'What in the hell are we doing here?'" While the current administration may not be knocking down his door anytime soon, Carnett is glad to be around to continue to tell his story. "I had a lot of good friends in baseball and I miss them," he lamented. "I love the fans. A lot of my buddies lost their lives, the only thing I lost was money and my big league career. That was fine; I came back alive."